This blog has thrown me some amazing opportunities, sometimes I really do have to pinch myself when e-mails come into my inbox inviting me to events or places, to try out new food or to explore a new place; I just love it! 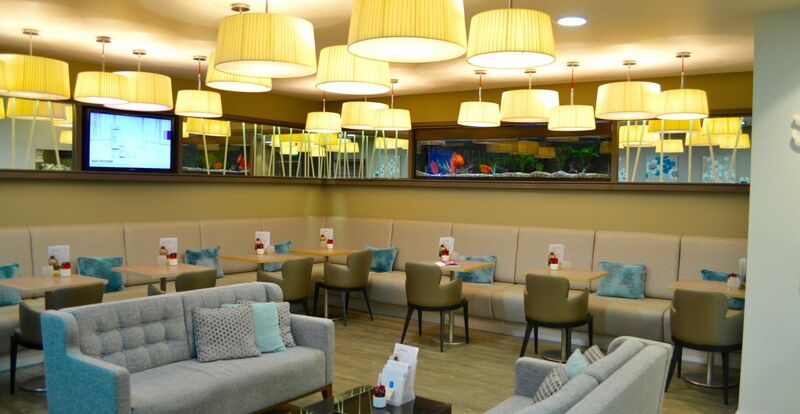 When I got an email inviting M and I for an afternoon at the Y-Spa at Wyboston Lakes, the timing truly could not have been better – If you’ve read my Midwife Mondays posts recently, you will know that it’s been such a crunch point recently, with huge amounts or written work, incredibly long hours and generally incredible amounts of stress, so an indulgent afternoon in a spa?! Let’s just say I barely read the invite before I was typing a reply accepting the offer and planning a date! The week before our visit was a completely mad one for me; I think I worked something silly like 64 hours in 7 days or something crazy like that so the idea of turning up and relaxing for the afternoon was EXACTLY what I needed! We arrived at 1pm and headed to the changing rooms and to find our lockers (they had locker fob wristbands all set up for us beforehand so all we had to do was find the right number and our robes and slippers etc were there waiting for us) We dropped our bags and headed straight for our spa lunch – we had a table overlooking the beautiful lake which definitely made it feel like we were on holiday and not a mere 25 minute drive from our flat! The spa lunch was a buffet set up, with carrot soup and crispy bread rolls to start, which was deliciously flavoured and really light too (important for a spa lunch not to be too heavy I think, simply so you can swim and things without feeling stodgy afterwards!) 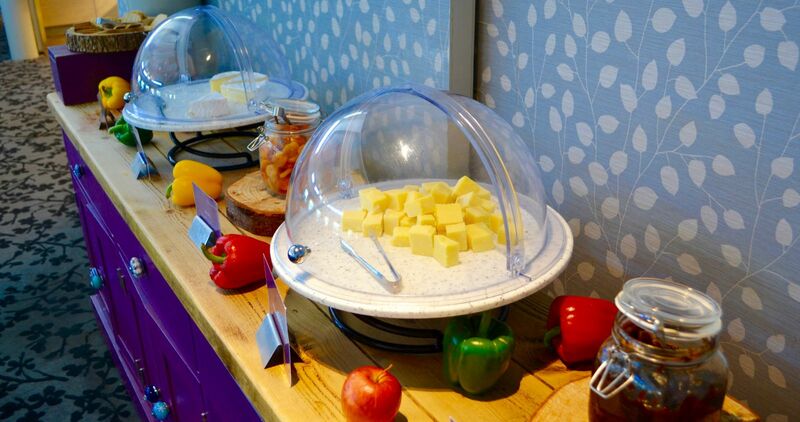 The main course of the buffet had a vast selection, from hot jacket potatoes with a variety of different fillings, through to sliced roast pork and veg, pasta with different sauces, a salad bar and even rice and curry if you were hungry enough! 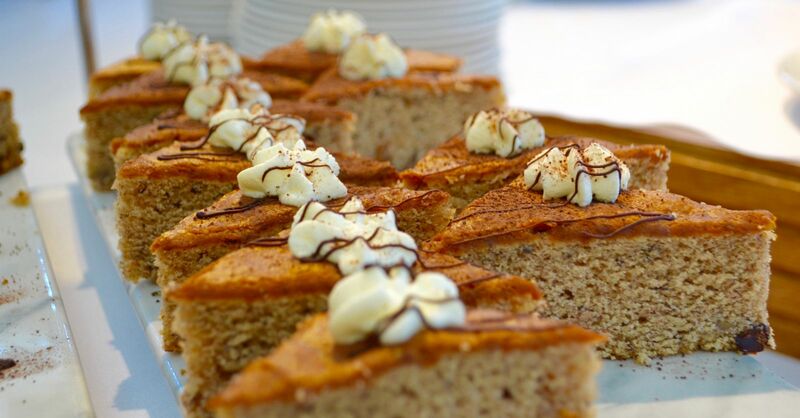 The lunch was perfectly finished with the option of several different cheeses, as well as some mini desserts such a eton mess or lemon posset, or slices of a couple of different cakes – There really was a huge selection, so you could have whatever you fancy! After lunch we headed back through the changing rooms, pulled on our swim gear and headed through to the main spa area. As it was sunny, we obviously had to settle ourselves in the sunshine by the hydrotherapy pool – we sank into deckchair sunbeams, M popped on his headphones and I pulled out a new book – bliss! 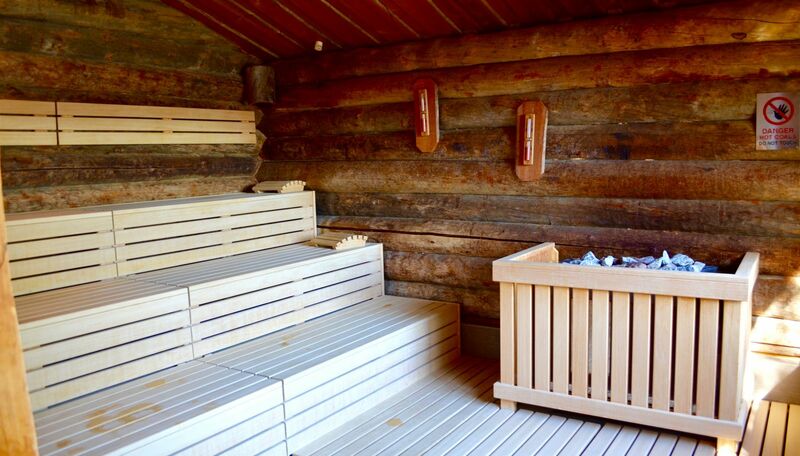 Moving indoors, the Y-Spa has two different steam rooms; a salty one, which is a combination of steamy humidity and a salt brine mist, and a more traditional steam one like you’re used to at the gym or similar. We tried out both, obviously, and were not disappointed. Not sure I’m completely sold on the benefits of the salty one, but it was certainly very relaxing! 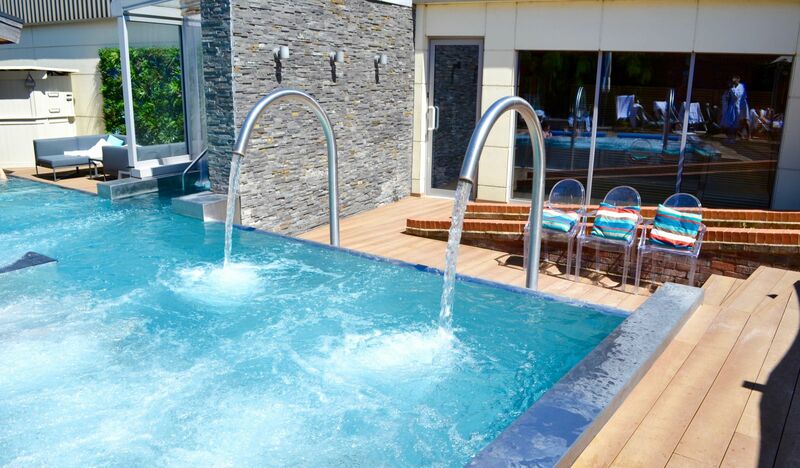 Y-Spa also has a sauna inside which overlooks the pool area, set at between 55 and 65’C, which was just right really; perfect to sweat out all those impurities and relieve those stresses! There is also another sauna outside by the pool which I just popped into for a few minutes and then it was time for our treatments! We had booked deep tissue massages and I’ve gotta say I was SO impressed! 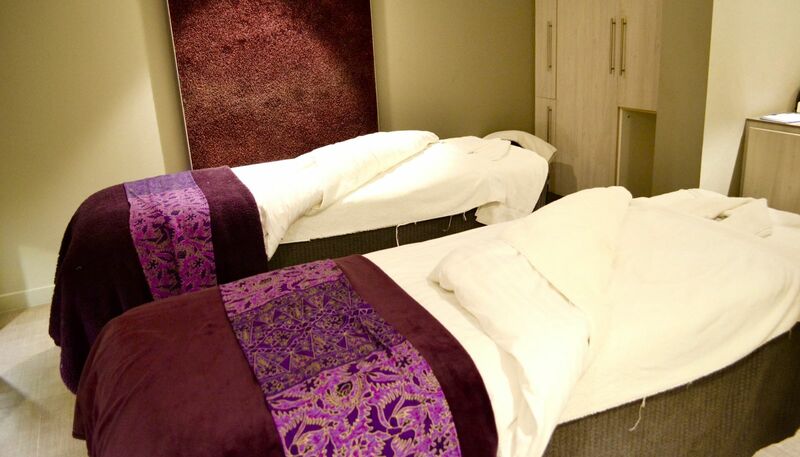 We headed up to the treatment area and within minutes we were called in to our double room – yep, proper couples massage in a double therapy room! When you book a deep tissue massage, its generally because you are feeling a huge amount of tension and want them to really go to town on those muscles; you know its not always gonna be really comfortable, but its what your body needs. This massage was completely FANTASTIC. The ladies both worked our muscles to the point of surrender and I could really feel the tension disappearing with every second. No, it wasn’t 100% relaxation all the way through, but thats not what I asked for. M also had a deep tissue massage and I think we both came out feeling the same way; slightly battered but relaxed in the best way possible. The horrid knots in my muscles had been given no choice but to kindly bugger off, and I felt amazing for it! So thank you so so much to Jess and Natasha, our massage therapists – you were incredible and really worked your backsides off to relieve our aching bodies! After our massages, we headed back out to the pool and chilled out for another couple of hours in the sunshine, before it was time to get showered and sorted for dinner. The changing rooms at the Y-spa are so well designed; lots of space, private curtained changing cubicles, proper hot showers with shampoo and conditioner (always a plus! ), powerful hairdryers (which, with hair like mine is a must!) 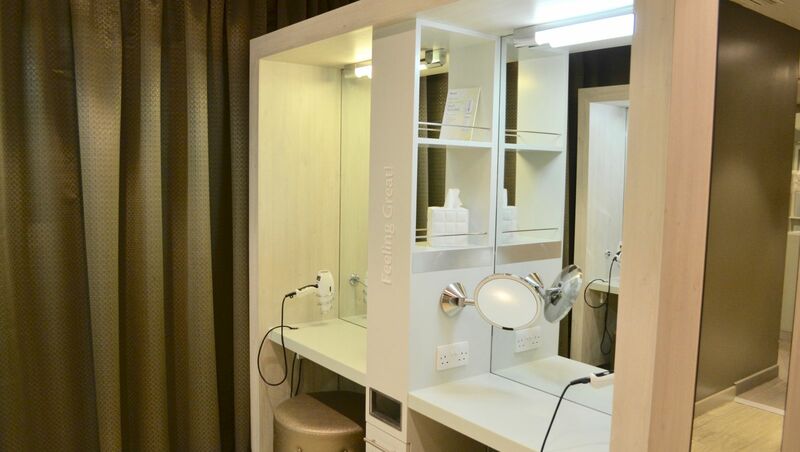 and even motion activated makeup mirrors at the gorgeous dressing tables – perfect for getting showered and sorted for our delicious date night dinner! 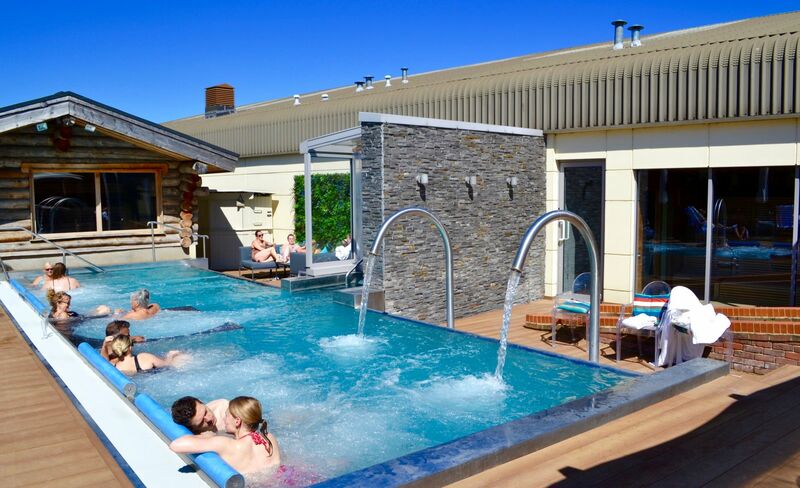 We had a fantastic day at the Y-Spa – it was a complete treat from the moment we walked through the doors; the lunch was delicious, the facilities were fantastic and the staff were so helpful and friendly; even the sunshine co-operated to give us the perfect relaxing afternoon together; absolute bliss and a wonderful time to spend as a couple too after a very busy few weeks! Thanks for having us Y-spa; we will be back! 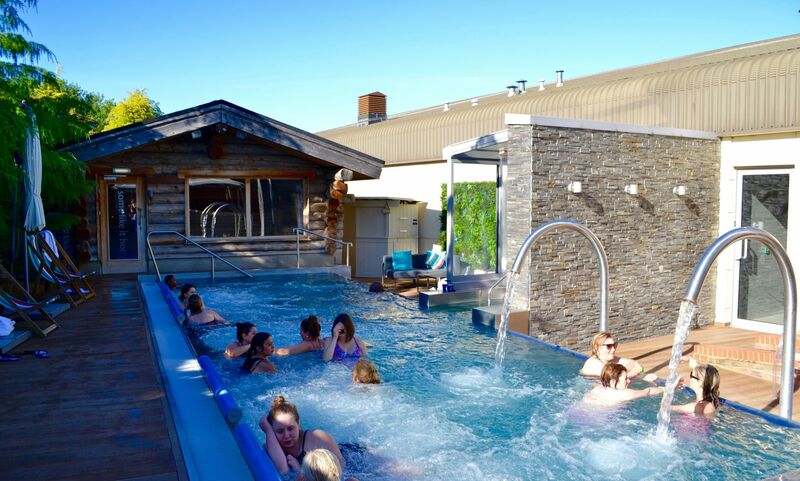 The Y-Spa can be found on Twitter, Facebook and Instagram as well as on their website. During our visit we also had dinner at The Waterfront Hotel; my post on this fantastic dinner will be live soon! The Apprentice: Allergies and Party-Bags!